Why are renewables the answer? To generate electricity for the national grid. 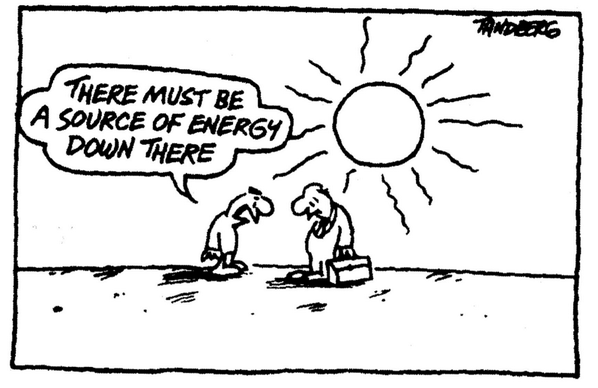 Fossil fuels are burnt, you may think that most of them we source at home, but this is not the case. Only: 35% comes from Wales, England and Scotland, the other 65% is imported. These counties are some distance away, and it burns even more fuel to get it here! Reliance on imported fuel has increased 12% since 2011 , and is accelerating. The price of importing fluctuates, and is impossible to predict and plan for. This makes our economy vulnerabe, dependent on the stability within these countries, their local politics and economics. Living in Wales you would think that we have enough natural resources to be self sufficient - the fact is we always have , and technology has now evolved to the point where we can make use of it efficiently. Wind, tides and surprisingly high irradiance levels ( >1000 w/m2 South Wales ) puts us in a strong position as far as harnessing natural energy is concerned. In investing in renewable technology, you are speeding up the process, in terms of research, and driving down prices. Solar panel efficiency and storage technology are improving to the point where importing coal, oil and gas over such vast distances, will no longer be cost effective as resources dwindle. In South and West Wales there are many farms that are self-sufficient . The number of large and small businesses in South Wales who are now carbon neutral is increasing rapidly, many people are already enjoying the benefits of being more fuel independent. Take a look at our solar-map to see how many are near you!